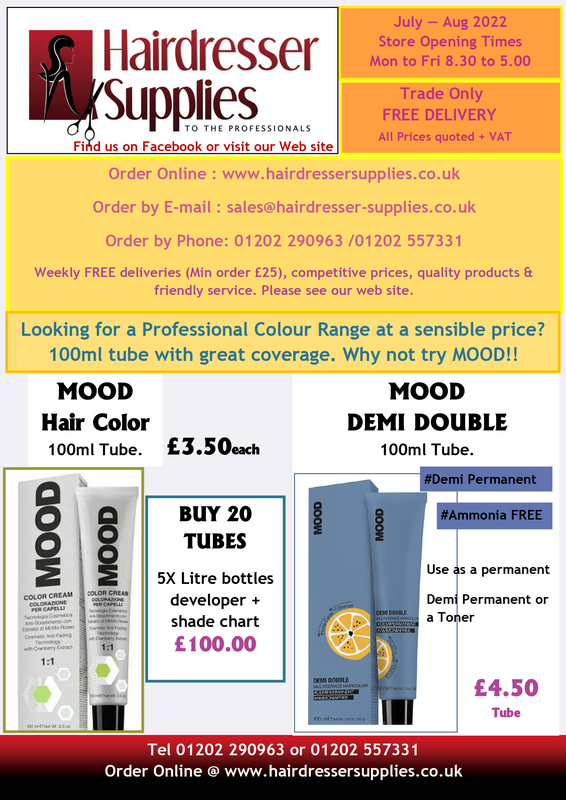 Hairdresser Supplies is an independent wholesaler which has been established for over 40 years and offers a free delivery service to the Professional Hairdressing Industry within a 30 mile radius of Bournemouth. We pride ourselves on our exceptional service and competitive prices and feel that we understand the needs of our customer. 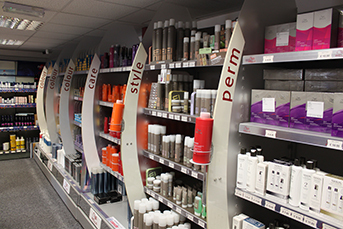 We have experienced representatives calling on salons to give advice on latest products and promotions and we have a showroom in Bournemouth staffed by qualified hairdressers who are always on hand to give advice on products and technical knowledge. We stock a large range of major brand products and some smaller independent branded products which are very competitive on price. If you want to know more please contact us to arrange for one of our representatives to visit at your convenience.